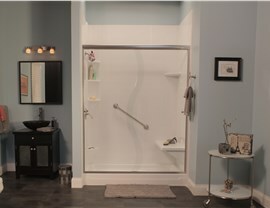 Save time and money by having Luxury Bath Texoma convert your outdated tub to a beautiful, modern shower! 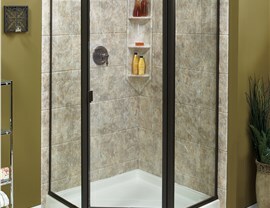 Providing shower sales and certified installation for tub to shower conversions in north Texas and southwest Oklahoma. In today’s fast-paced society, people prefer a quick shower in the morning rather than spending time soaking in a hot bath. Now you can easily transform your existing bath space by replacing your bathtub with an innovative shower unit that matches your home’s aesthetics! 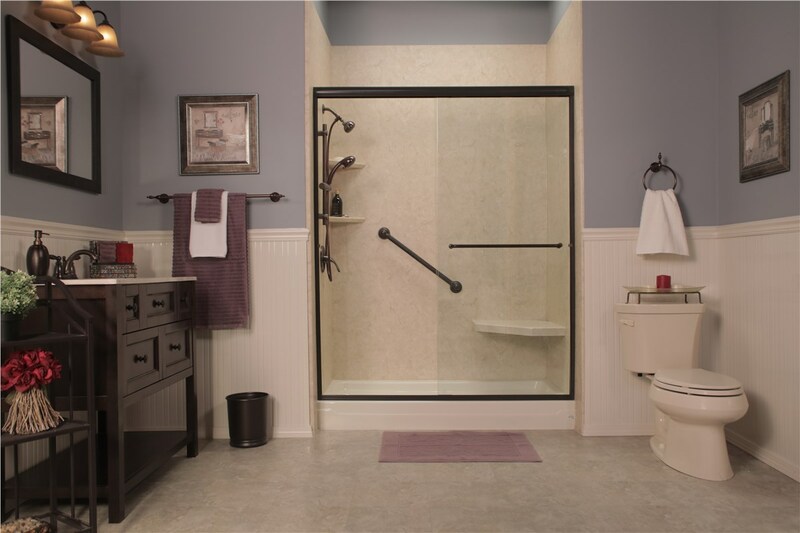 At Luxury Bath Texoma we believe in quality, which is why all of our products are made from highly-durable acrylic with infused antimicrobial technology! 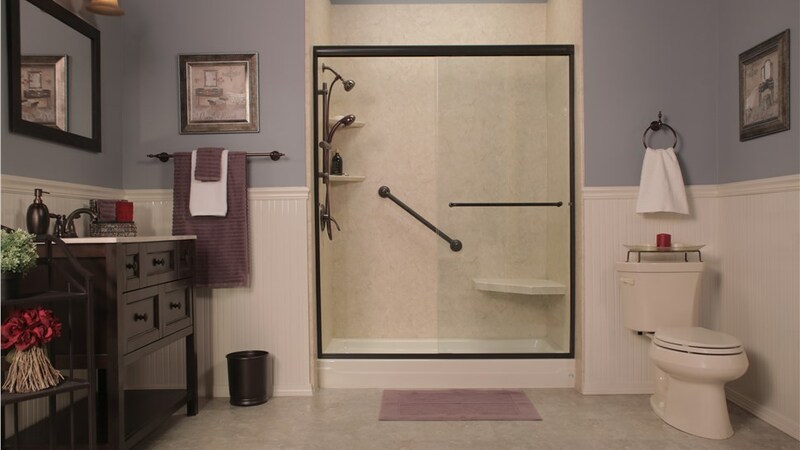 Whether you are looking for accessible options when replacing your bathtub with a shower or you’re just ready for a new look, we can help you choose the perfect shower doors, enclosures and accessories to complete the transformation! 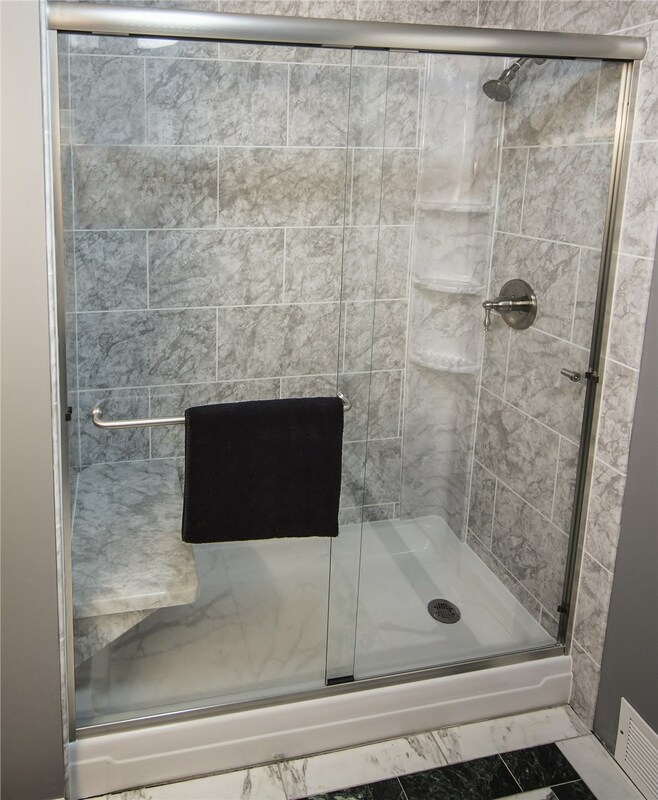 Walk-In Shower – Step right into our traditional walk-in shower and relax in your fully customized tub to shower conversion! 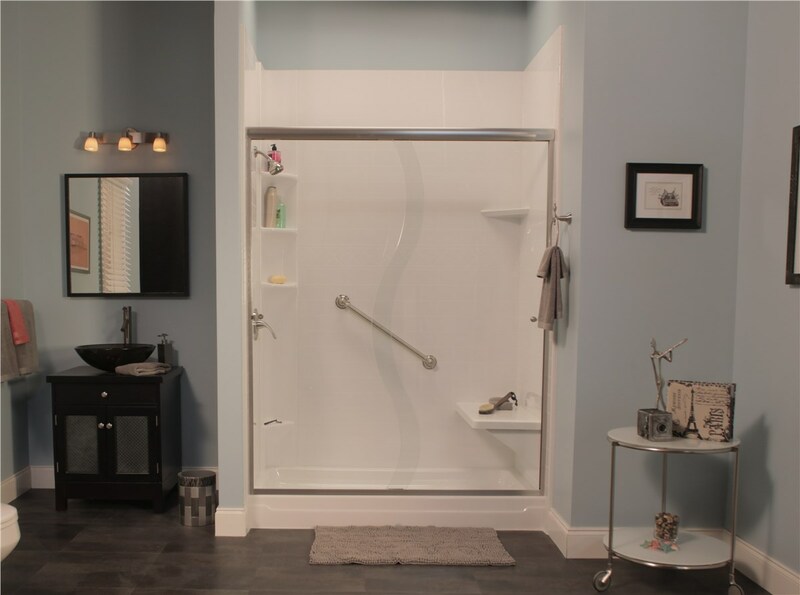 Roll-In Showers – Our barrier-free roll-in shower is the perfect choice for the most accessible shower product without sacrificing beauty and luxury! 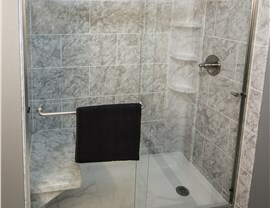 We offer a variety of pattern and design options for you to choose from in order to bring your bathroom vision to life. With the help of experienced designers and expert installers, your bathtub to shower conversion can be completed in as little as two days! 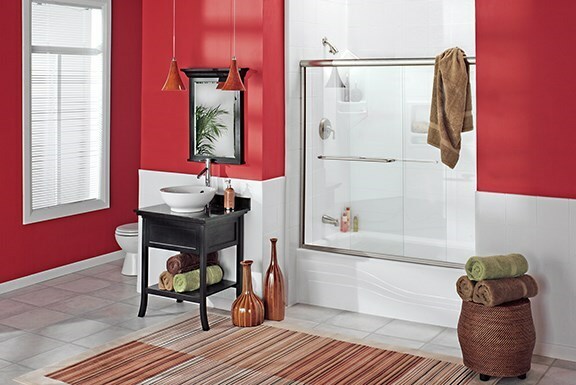 Patterns & Colors – We offer several color and tile options to help you perfectly customize the look of your newly remodeled bathroom. 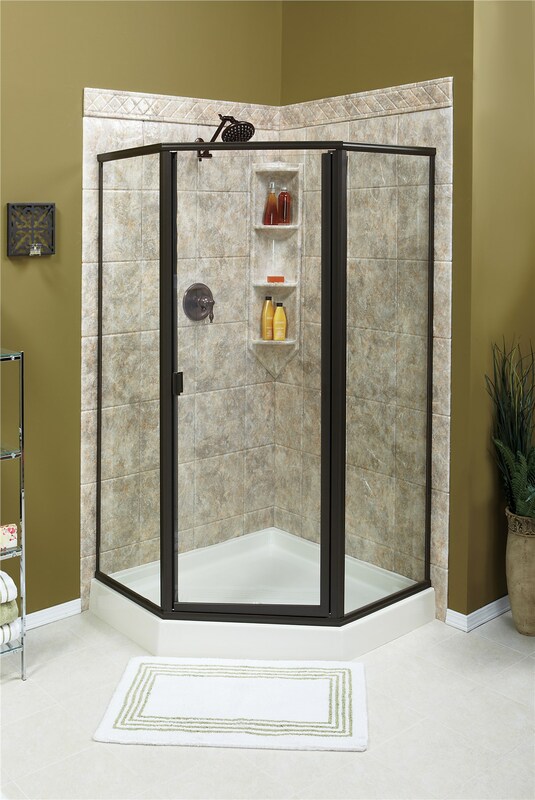 Fixtures & Hardware – Put the crowning touch on your new shower with our premier selection of new fixtures and hardware! At Luxury Bath Texoma, we understand the value of time – which is why we do everything we can to make the process of replacing your bathtub with a shower a seamless experience!